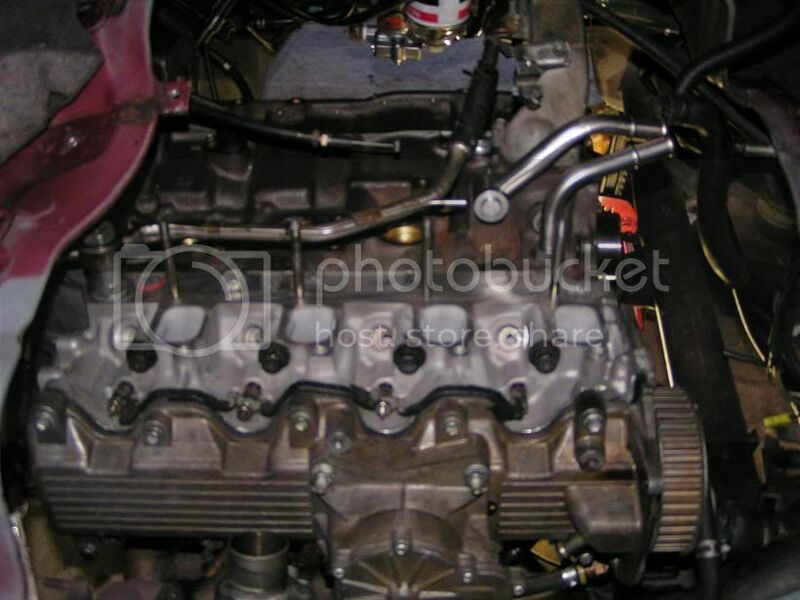 Well thanks to a great friend made on the .org site I have managed to get all of the spare parts necessary to get build my economical/miser and also performance durable engine. I have machined down the standard auto flywheel from 8Kg to 4.4Kg from memory. I have had it balanced to a spare crank. You would of seen my head work being done on my head mod thread but I will cover the whole engine assembly and work in this thread. Today I dropped the head back to the Head guy for him to seat the valves to correct clearances and assemble the head. So today when I picked up the head at the ceramic guy I had a chat about the coatings. I thought that the dull gray finish was the finish. this is only a left over film to show that parts have been coated. 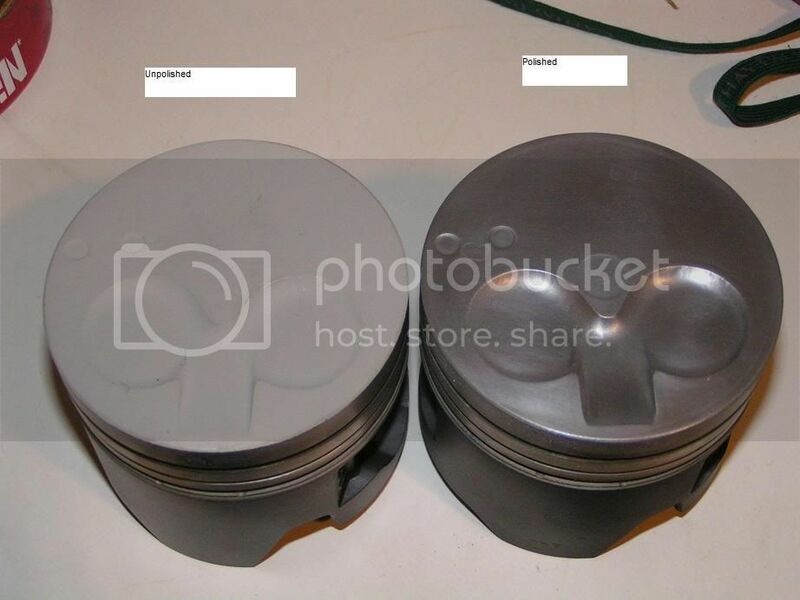 I was worried because some of my pistons looked liked they were scratched on the combustion face.. The guy showed me some of there demo coatings and said that they had just scotchbrited the dry finish off. I thought that Id damaged the bearings in the bottom end and thats why I was getting noise from there.. When I dropped of my harmonic balancer to the head guy so that the whole assembly could be balanced I also picked up my head to bring back home.. The old one..The head guy pointed out something that I hadnt noticed.. 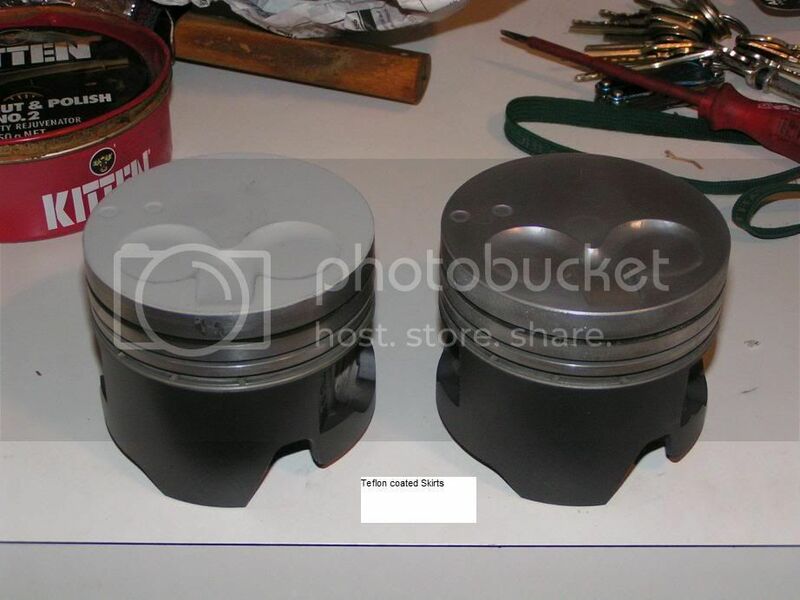 Number 3 cylinders cam lobe was worn out and the shim and bucket were hollowed out. There was excessive clearance meaning the valve was operating at way reduced lift.. How much??? From what I could see there looked to be about 6~7mm worn out of the bucket, not to forget the 3 or so milimeters worn off the tip of the lobe...Id managed to get 7.98lt/100km or 35.4mpgNew engine, new torque convertor, no SADS drive shaft... Hello 40+MPG...or look out toyota prius! Will post pics on to this later of the damaged bucket and lobes. Batteries were flat on the camera. Well I went to pick up my engine today from my engine builder at racetech.He told me last night that 3 pistons had a deck height 26.5thou of an inch over the deck and 1 was 13thou less....Of course I done my thinking on the drive out there to get the motor and thought " hey you used the rods from the hydraulocked motor, the rod my be bent"So we pulled the rod in question out and checked against another rod and sure enough there was 13thou difference.The rod had a different casting number as well so its either slightly bent or different???? So I will take my other set back to him and balance them and put them back in........So hopefully by the end of this week.But you cant not love a new built engine for looks, everything is clean and looks brilliant! 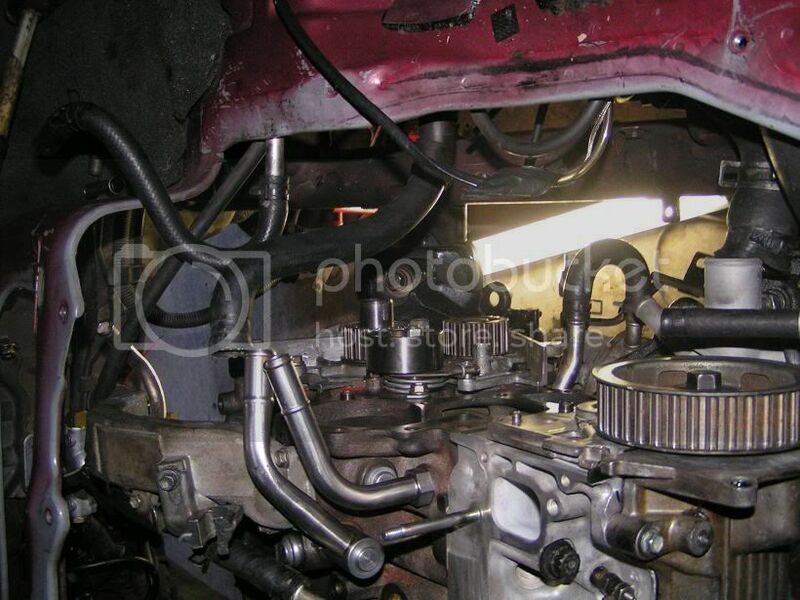 My engine on the floor before the jackup into the engine bay. 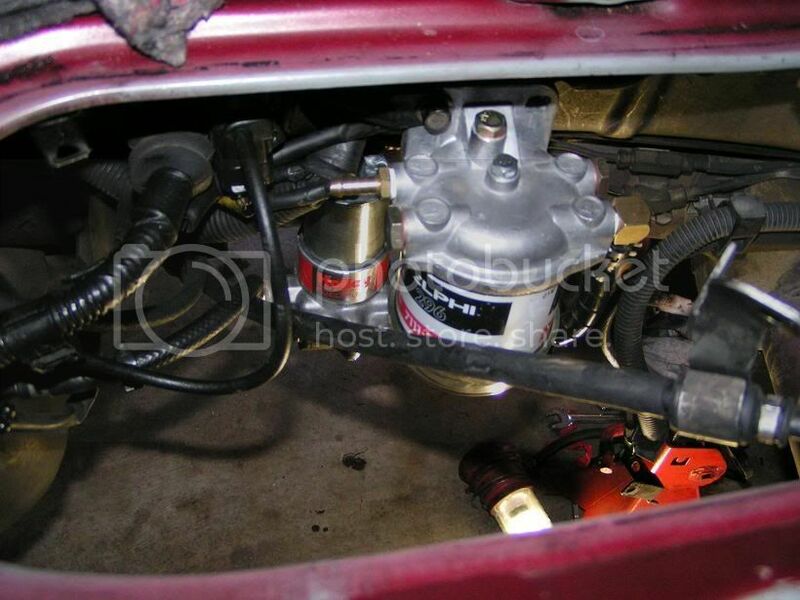 Delphi water trap and fuel filter with holley red electric fuel pump.. No More priming! I know I have mentioned my mate from ****stan before but I must thank him again for offering me his time and help in sourcing most of the parts needed in this buildup. Again many thanks to Mohammad. try and keep in touch clint from japan. Oh blimey Clint, it's like reading a whodunit only to find the last chapter missing! The cat is out of the bag about the suprise as my missus drove me crazy trying to get somebody to rent the spare room whilst we were gone. I told her like a million times that I didnt have the time and that with only a week left that it was too short to get to know the person enough to trust them. Your welcome to give the crate a try. I imagine that by the time you pay for your return airfare plus the freight on top of that, that it just might be cheaper for you to build one yourself maybe. Id like to see it finished so that I confirm what I expect from the ceramic coatings and the hard work put into it. 1. How do they balance the bottom end? Is it with a balancing machine or something. Havent seen this before. 2. 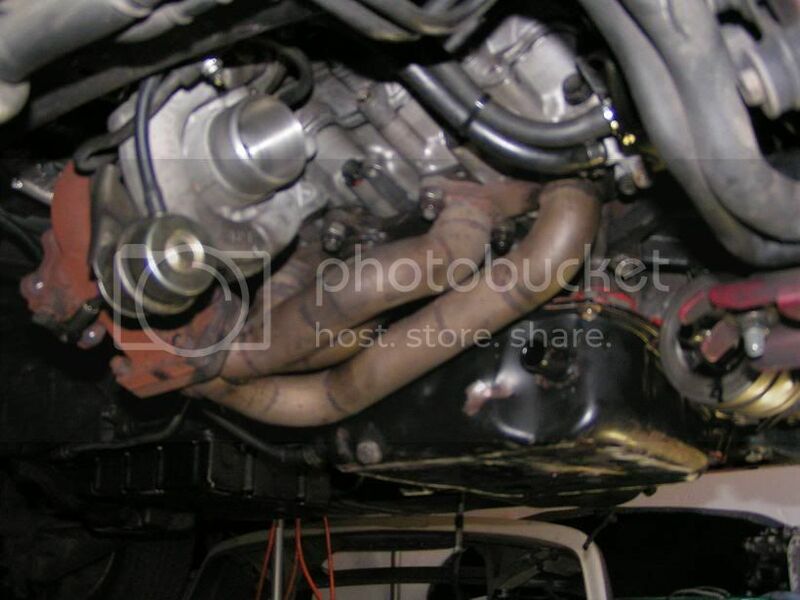 The garrett turbo u were installing, have u done that? Whats the result? 3. If you install the DN0PD704 nozzles (1KZ-TE) on the 3C-TE, what difference would it make? They balanced the crank with the flywheel and harmonic balancer as one piece. Then they individually made all the pistons with their gudgeon pins in place the same weight. They then balance the conrods by placing the the bigend bearing side of the rod in a hook to hang in the air with gudgeon pin end on the scales and made them all the same weight. Then then reversed them so that the gudgeon pin was in the hook and the bearing end on the scales and made them all the same weight.. I havent installed it as of yet. Im curently in japan and will be here until jan 09 and maybe longer depending on me finding work. Im in the process of applying for my visa. 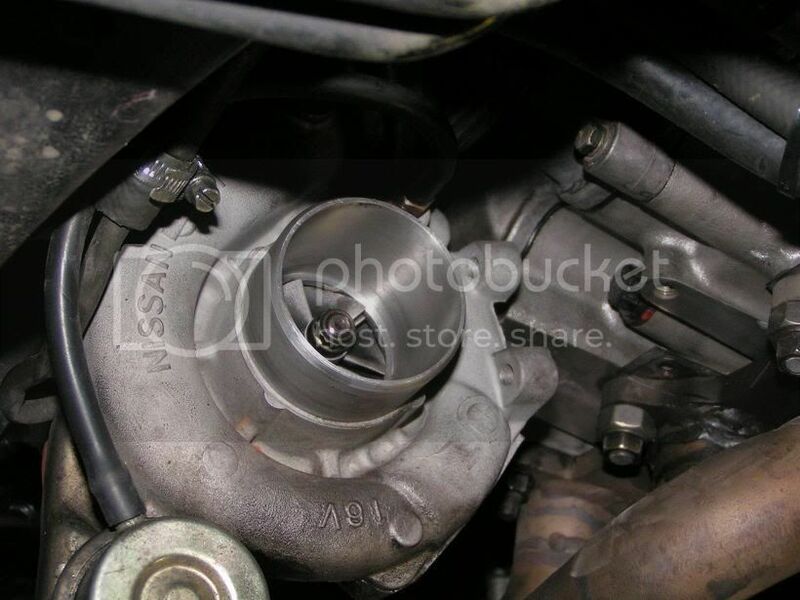 The turbo needs to be rebalanced and maybe some new seals. I emagine that the response would be better over the older turbo but with all of the ceramic coatings and the possible addition of gas latter on then lag shouldnt be an issue. I think from memory that the 1KZTE pump ran a similar injector pressure to the 3CTE pump. So the DN0PD704 nozzles would work with more fuel delivered as they come of a 3lt engine but dont forget that the 1KZTE pump has the 12mm plunger and the 3CTE a 10mm plunger so it might end up even... The problem I had with the hybrid 3CTE/1KZTE pump that I made was that the top of the plunger where it seats against the cam plate was a larger diameter than the 3CTE so I couldnt use the 3CTE cam plate. I used the 3CTE shaft as the timing marks were in a different spot to the 1KZTE, so I wanted to use the 3CTE camplate as well but couldnt unless I chased up something else to make it all work together..
At the moment economy is rating higher than performance but its still up there on the cards.. I will make my power from using LPG..
Ive responded in blue to your questions Mohammad. Everything is packed up in the garage back home waiting for my return. I hope Remix will be back up and running..
it's like reading a whodunit only to find the last chapter missing! You can't beat a good cliffhanger to keep the readers in suspense. I'm looking forward to reading the "last chapter" which apparently will be released in January! I'ts like waiting for Christmas to arrive ..... but without the financial worries! Long time no see. What up buddy. Are you back in Australia? 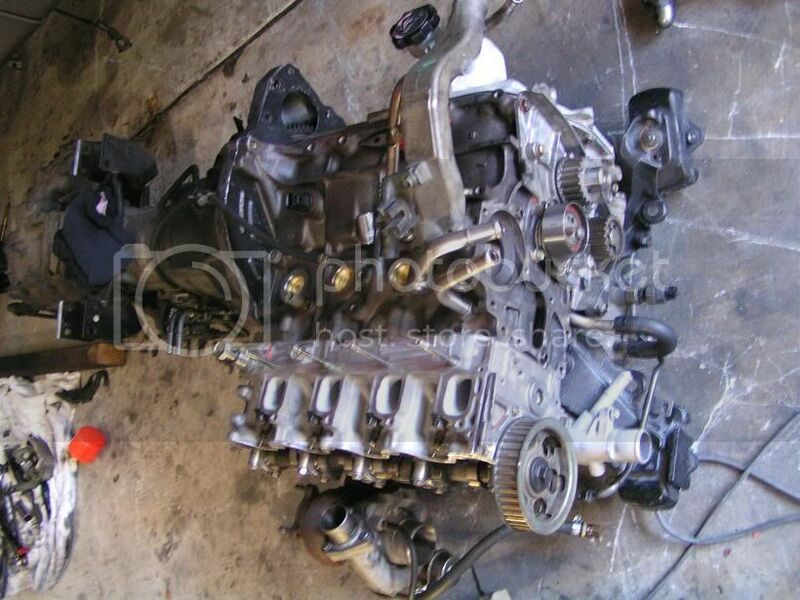 What about your engine rebuild. Did u finish it. I am still in Egypt.